Today I am privileged to present a guest post by one of my dear readers, Dave . My association with Dave is what I would hope would happen with more of you. I have been richly rewarded by our dialog – both our email chats and video Skype. 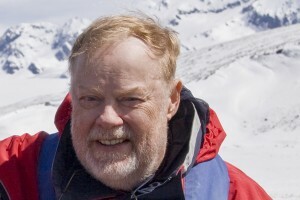 I urge you to visit Dave’s blog site “Habitat Chat“. 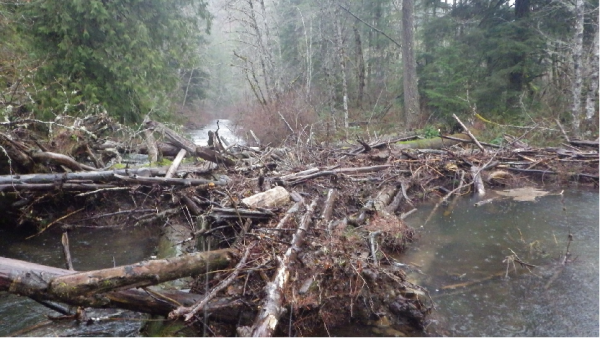 Habitat restoration and beavers, the subject of this guest blog post, are two topics that fit very well within the credo of this blog. With that, here is Dave’s offering for us today. 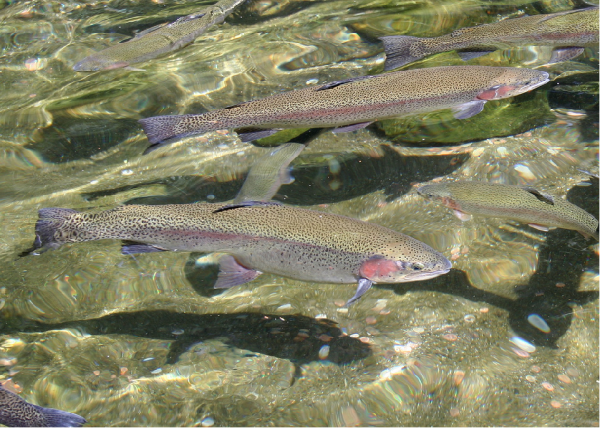 Do you spend time developing solutions for water quality issues in your watershed? Are there aquatic species in your basin that would benefit from increasing the complexity of the stream channel? Maybe you think about implementing projects that benefit climate change? Beavers historically numbered in the 10s of millions in North America but have been decimated from over exploitation in the last 300 years.. They have been making a recovery for the last 50 years but still face hurdles from development and human population growth. 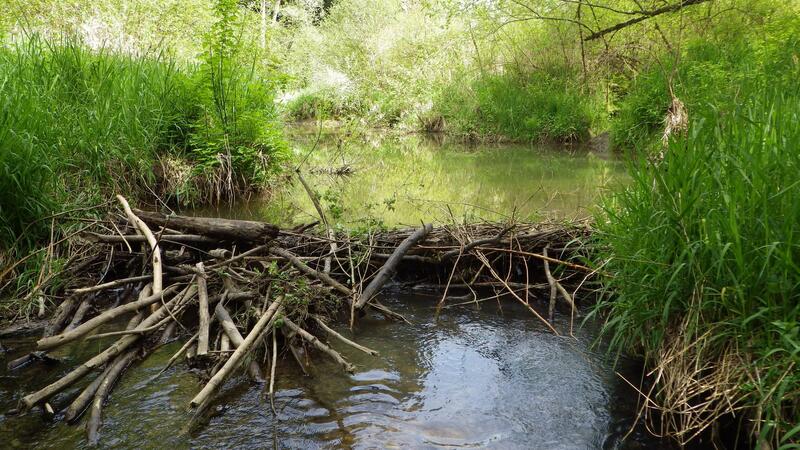 The free engineering and management help we get from beavers in creating habitat is priceless. They filter toxics, create habitats for fish and wildlife species, provide higher flows in the summer and reduce flooding in the winter, and are another tool in the toolbox to deal with climate change. I will discuss these issues today and give you a few tips so you can utilize beavers while managing and developing habitat restoration projects in your area. Even if you don’t implement a restoration project with beavers this year, just understanding a little more about their life history will allow you to make better project choices as you move forward. Beavers in North America (and Europe) were taken down to the brink of extinction for their valuable pelts. Since the early 20th century, restoration projects and reductions in harvesting have allowed populations to rebound. People are still unaware that beavers were historically distributed throughout most of North America from California up through Alaska. You could find beavers just about any place where there were trees and water. The beaver is one of the largest rodents in the world, and because of their impact on human infrastructure, beavers are known as nuisance species to many people around the world. This designation has warranted them very little protection. In fact, most landowners can remove beavers with very little regulatory requirements. In most natural habitats where beavers evolved, stream channels were much more complex. This complexity, as opposed to a single channel that we see in many impacted streams today, is a benefit to aquatic species and natural stream channel dynamics. A stream with more side channels and pool habitats will store more water throughout the year via our groundwater system. Essentially, storing during the high flow season and releasing water slowly during the dry season. The exact opposite of this is true in an urban stream that is bordered by concrete. In these cases, there is no ground water recharge, and water flows in and out of the system rapidly. Increasing erosion and scouring of the channel and decreasing habitat. The benefits of natural habitats could make a big positive difference during climate change. As we potentially have less water available from decreased precipitation, its going to be important to find more natural storage areas. Beaver ponds are the perfect natural reservoir for this scenario. 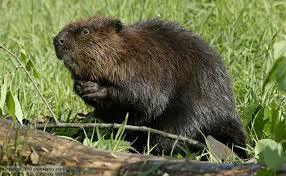 There are a number of different projects that would fit under the net of beaver restoration. One popular and effective method is Beaver Dam Analogs (BDA’s). BDA’s involve essentially building an artificial beaver dam to help give the animals a boost. There are a number of projects in the John Day Basin implementing this work. This link discusses the project. Beaver reintroduction programs are also growing in use around the country. The idea here is to find suitable habitats that are lacking beavers. Then, beavers are relocated to these new areas from areas where they would otherwise be killed. The Methow Creek project is one of the largest reintroductions in the world. Other mitigation work that can be completed includes pond levelers, culvert guards and tree protection. If you are using tree protection, remember this tip: Make sure to setback your fences protecting the trees a few feet because beaver are smart and can climb. They will even build up wood along your fencing to get access to cut your trees down. An effective method to find beaver dams is to use Google satellite images to zoom in to find beaver dams in your watershed. Yes, you can actually see these beaver dams from space if you train yourself. Once you find these areas, travel to each site to review the actual habitat. There are certain habitat types that will give beavers a better chance of survival. These are the guidelines that will help you determine the optimal habitats for beavers. Once you have verified sites that will be acceptable, you can move onto the next step in developing your project. As a watershed council group or landowner, some of the information I’m describing is likely new for you. Now is the time to start thinking about who to contact to help you with your project. Start with your state fish and wildlife agency to find out if there are any permitting requirements. You can also contact the Methow Creek project staff or John Day staff (links above) to find out if they have links in your area to beaver restoration. This is not a light topic because beaver can cause flooding to infrastructure. Determine your own risk for each project and weigh that against the benefits. Document the potential outcomes as you decide where a beaver project might work. The important idea to remember here is that success will look differently for everyone involved. These beaver dam projects won’t last forever. Beaver habits require them to move away from sites once they run out of material that they use. They will return to these areas once the riparian area recovers as part of this natural cycle. The regulatory environment is pretty new on the scene as well. The Federal and State agencies are still trying to determine how to permit these projects. You should contact your local, state and federal regulatory agencies directly to find out the requirements. You will likely have to take them through the process and explain the risks and benefits to them as well. The State of Utah has developed the first management plan for beavers. The State of Oregon has some guidance on living with beavers. Go ahead and start making your contacts early so you can get all of the players involved. Connecting with the resource and regulatory agencies early will go a long way to get you started. Then start digging into your watershed data to find out where potential sites are located. Do people complain about beavers in your watershed? Find those people and start a dialogue. You might be able to begin your own relocation program. This is going to be up to you to lead the charge in your area. Why not start today and find out more about beavers in your area. Heres a quick tip to find additional information: Take a look at the general land office surveys to find historic beaver use in your watershed. Climate change and water issues are only going to continue to grow. We need to continue finding solutions for these issues. Utilizing beavers as part of our plan will be another great tool in the toolbox. Beaver restoration will not be a short term project. It will require a dedication and outreach effort like no other. But, the potential benefits will likely outweigh the short term costs associated. If you have beaver activity in your area or interested in getting started, send me a message and let me help you get going. You can reach me at my web site. where I discuss habitat restoration tools and resources. You can also reach me at twitter . 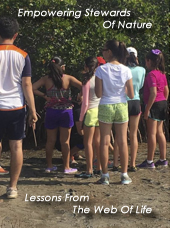 My goal is to help people understand and develop restoration projects all over the world. Please say hello via email at dave [at]habitatchat [dot]com. This is great! Especially with California – and most of the West – being so dry, we need to encourage more beaver activity. Mother nature’s engineers! Thanks for your reply. Beaver have also been reintroduced in the San Pedro River in Southeastern Arizona to help restore an important riparian reserve that had been badly damaged by cattle grazing. The video at https://vimeo.com/84733621 might interest you. Thank you for the connection. You have something special with your readers and I appreciate everything they are doing. We will be able to save the planet! But, it will take the work of every single person to continue reaching out and building the community. Hi Dave: Thanks for your comment.You are absolutely correct when you emphasize building community because it will take consensus to reverse the very destructive track that we humans are now taking. Where is the photo of the beaver dam surrounded by grass from? I would like to use it in a presentation for school, but I don’t know who to credit. Did you take it? Thanks!